Many ethnic Russians in Estonia have “gray passports,” live in legal limbo. 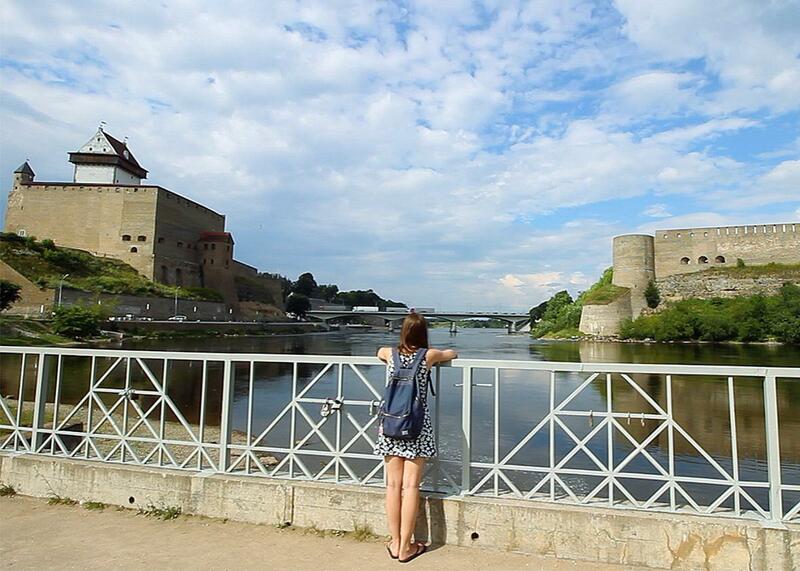 With “gray passports,” many ethnic Russians in Estonia live in a state of legal limbo. Estonian families in Freedom Square in Tallinn. 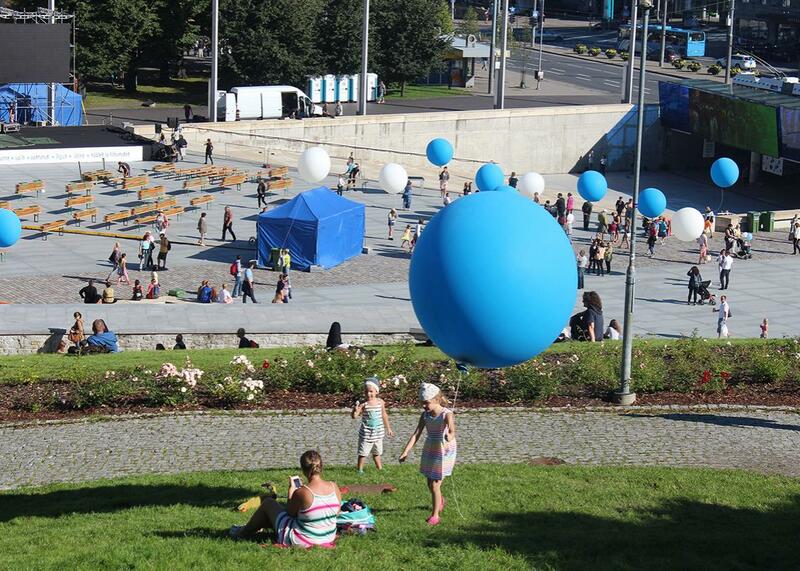 It is a bright day in late August and everyone in Tallinn seems to be rushing to the center of town, where celebrations are underway for the 25th National Restoration of Independence Day. The public holiday commemorates the events of Aug. 20, 1991, when Estonia declared independence from the Soviet Union which had occupied the country since 1940. The clear sky dotted with white clouds echoes the blue and white of the Estonian flag. On a stage in Freedom Square, choir after choir performs folk and contemporary songs in vibrant traditional dresses. It all looks very picturesque: a peaceful, small country, and member of the European Union since 2004, successfully reviving its cultural identity, quashed for 50 years by Soviet occupation. I join Elisabeth Haljas and Vladimir Petrov, both 23. Haljas is ethnically Estonian, Estonian is her mother tongue, and she is able to take full advantage of her EU passport. Petrov, on the other hand, is from a Russian-Ukrainian family, and he carries a gray alien’s passport issued by the Estonian government. An alien passport may sound like a joke, but it is a complicated fact of live for ethnic Russians in this Baltic republic, and in a time of growing tension between Estonia and its much larger neighbor. When Estonia gained independence, ethnic Estonians were given citizenship in the new state. But those ethnic Russians now living on the wrong side of the border—32 percent of all the country’s residents in 1992—found themselves in a political and geographical gray zone. The new government forbade dual citizenship, which forced ethnic Russians to make a difficult choice: either get a Russian passport, making their legal status in the country uncertain, an option few have chosen, or apply for Estonian citizenship. In the meantime, they were classified as stateless and issued gray alien passports. At the time, Estonia was anxious to reverse years of deliberate Russification by Moscow and limit the influence of Russia over its territory. But what was meant as a temporary measure has become an enduring reality. More than 25 years since independence, Estonia is still home to thousands of stateless people. Estimates put their number between 80,000 and 90,000, a visible minority in a country of only 1.3 million and the world’s 10th largest stateless population. While a good number of ethnic Russians have successfully become Estonian citizens or acquired Russian citizenship, many have not. While the advantages of citizenship in an EU member state might seem obvious, the naturalization process is long and difficult, and it requires fluency in Estonian, a complex language with 14 cases, which many people living along the Russian border do not speak at all. Petrov was born in 1993, after independence, but stateless status is hereditary: He has been, as his passport puts it, of “undefined citizenship residing in Estonia” since birth. In 2016, the citizenship laws were amended to automatically grant citizenship to newborns in the country unless their parents choose to opt out, but for Petrov and thousands of stateless others who are already adults, it was too late. These are not the only restrictions: The stateless community is predictably cut off from political life. Only Estonians can vote in national elections or stand for a seat in Parliament. Alien passport holders can vote in local elections but cannot be members of a political party or work in public offices and in some other positions. To make matters worse, for many jobs, including in the private sector, the law requires fluency in Estonian, via a certificate of language proficiency, shrinking further the number of jobs noncitizens can apply for. Unsurprisingly, unemployment among the stateless is 1.5 to 2 times higher than amongst Estonians, and they are also overrepresented in the prison population. There is one silver lining: Those with gray status avoid conscription in either the Estonian or Russian army. 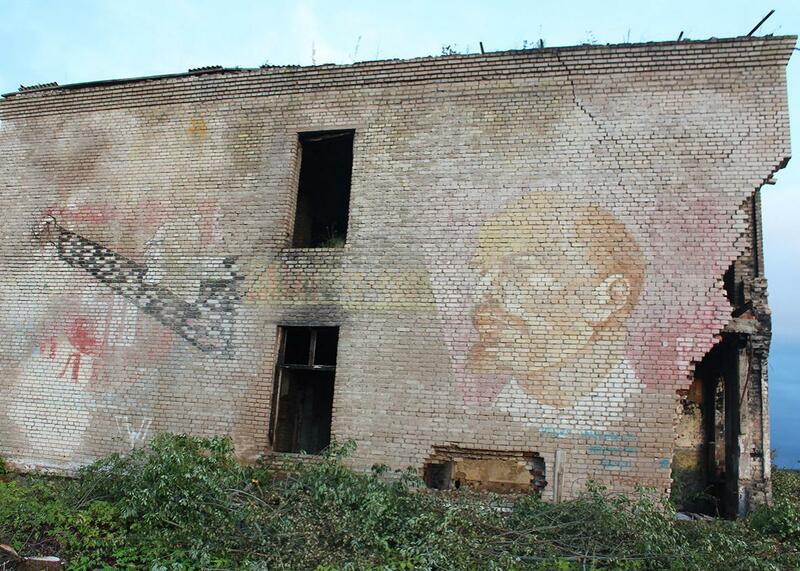 Abandoned Russian barracks in Estonia. Petrov’s story casts a politically charged shadow on today’s festivities, which are all about celebrating Estonian values and identify. Even the choirs singing on stage have a nationalistic bent: The country’s secession from the USSR was known as the Singing Revolution, in which gatherings to sing patriotic songs in the Estonian language turned into large crowds assembling in opposition to the government. Vassily is not alone: Many Russians and Estonians are reluctant to talk about gray passports. Locals seem to have resigned themselves long ago to accept this fragile but lasting compromise between the two groups. What is surprising is that the European Union has the same reluctance. 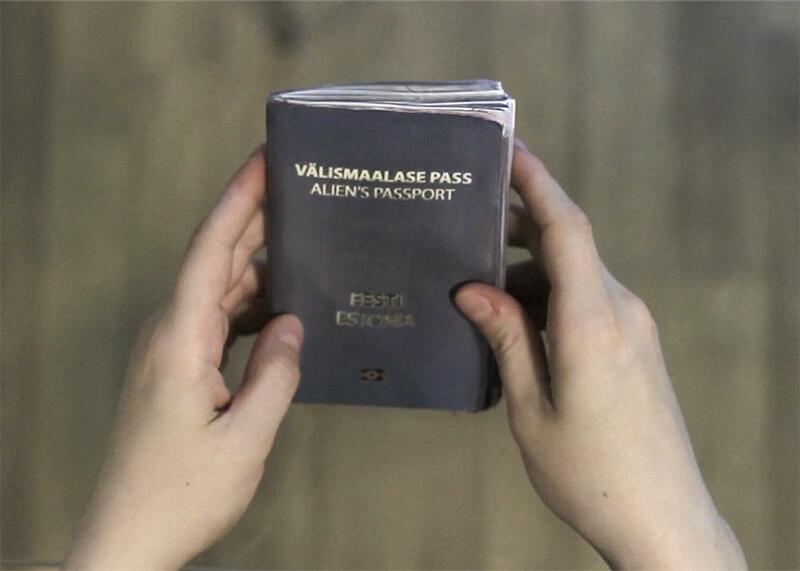 Alien passports raise thorny questions about displacement and statelessness. Some international bodies, including Amnesty International and Human Rights Watch, sporadically make some short-lived noise about the stateless population, but it’s not a high-priority issue for anyone. This may not be an option for much longer. Moscow, has, in the past, used the tactic of passportization as a mean of pressuring and dividing its neighbors. First, Russia distributes thousands of passports to ethnic Russians living in these neighboring states. Protecting the rights of these citizens then becomes a pretext for intervention. The strategy was used in Georgia’s breakaway regions of Abkhazia and South Ossetia prior to the 2008 war, and there were reports of it being used in Crimea prior to the 2014 annexation as well. The protection of these minorities was used by Russia as a pretext for both military operations. The ongoing marginalization of gray passport holders makes Estonia vulnerable to this kind of interference as well. Amid rising tensions between the two countries, Russia announced in November that soon all stateless passport holders would now be able to enter Russia without a visa, not only those born before 1992. Perhaps motivated by these concerns, Estonia is taking some of the most drastic measures in years to integrate gray passport holders, trying out an easier Estonian language test in addition to the new rules granting automatic citizenship to residents at birth. All this is happening as Russia’s perceived threat to Estonia has been growing. The country and its Baltic neighbors have been asking NATO for assistance, and the alliance has agreed to deploy forces to Estonia, Latvia, Lithuania, and Poland. Fearful of Russia’s superior military strength, the government has also been promoting the creation of the Estonian Defense League, a group of civilian volunteers who regularly train in order to efficiently act as partisans in case of an invasion. For now, the uneasy compromise continues, and the gray passport holders continue to live in limbo, not quite belonging to either country. What’s unclear is whether this uneasy compromise will prevent the kind of confrontation with Russia that other countries have faced, or provoke it.